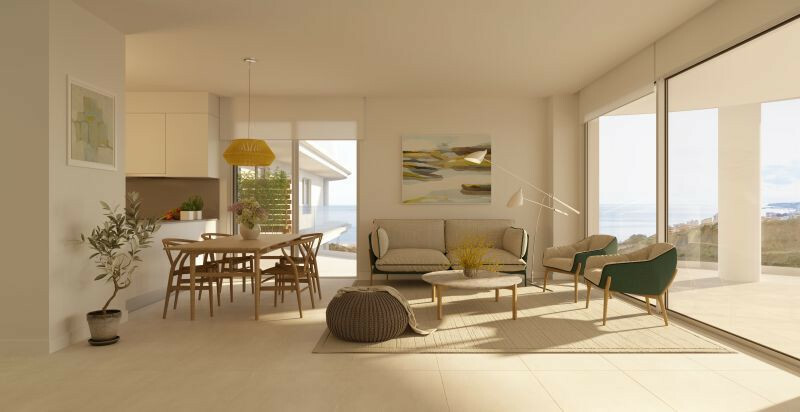 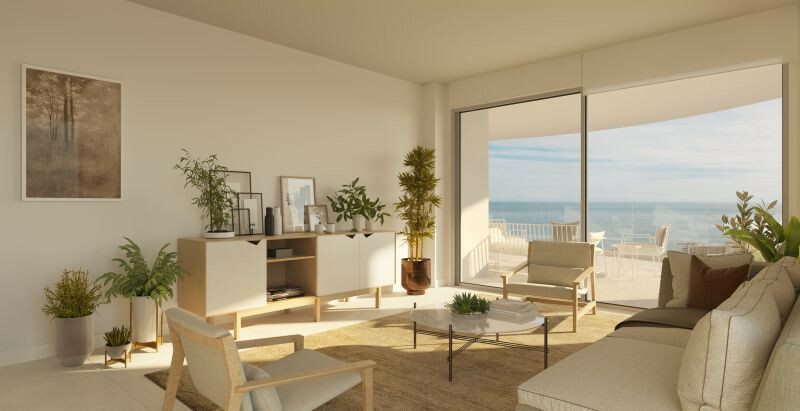 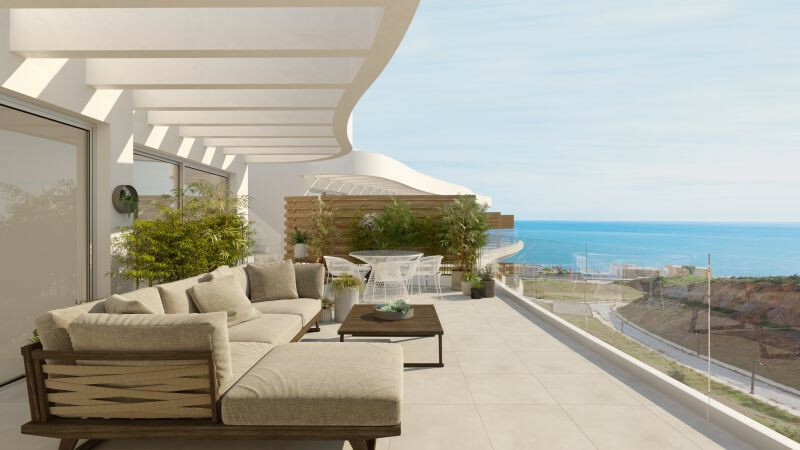 88 exclusive homes with an innovative and avant-garde design, situated in a natural elevation in front of the beach of Carvajal in Fuengirola, its location offers one of the best sea views of Fuengirola. 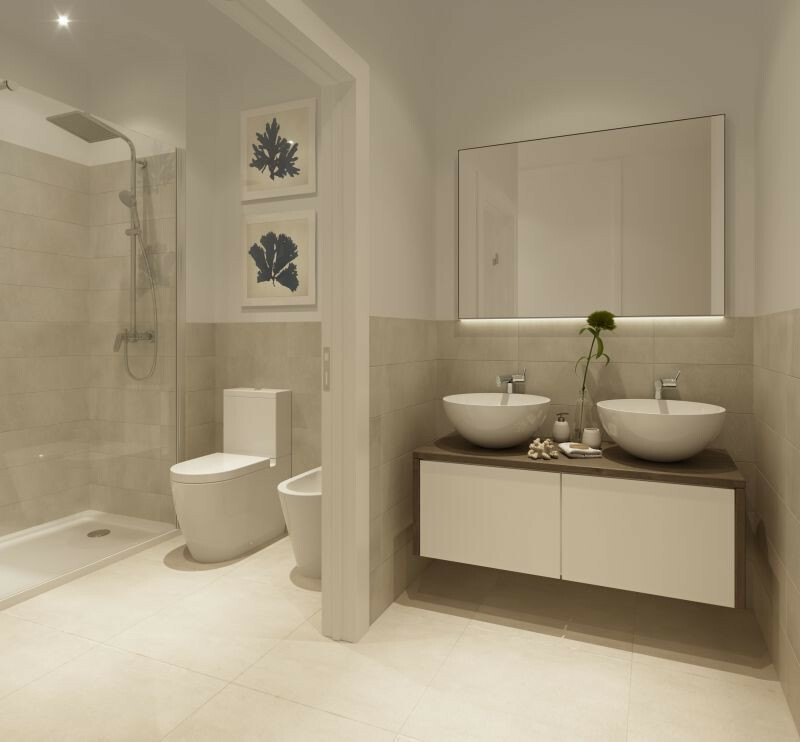 2 and 3 bedroom apartments built to the highest standards of quality. 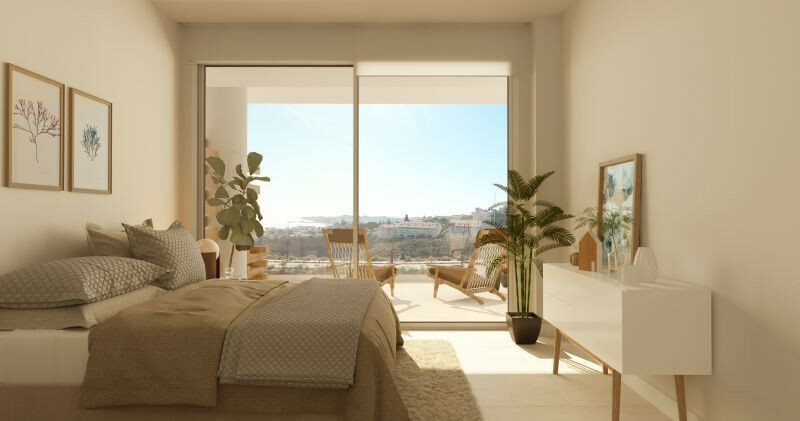 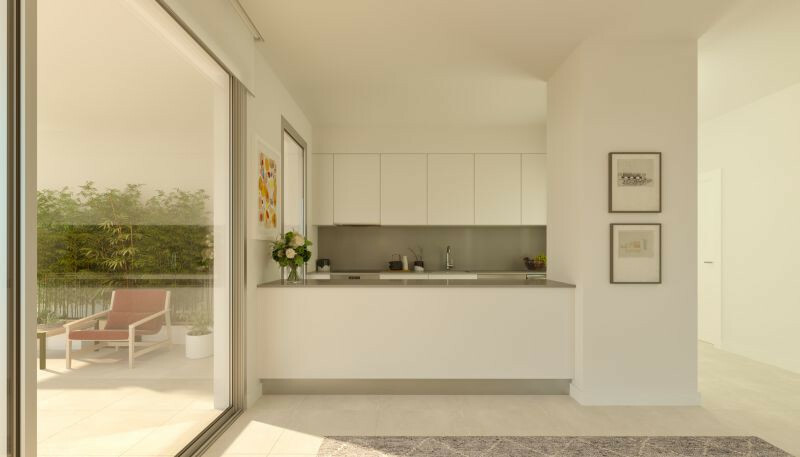 All of them have large terraces, furnished kitchens equipped with top appliances, home automation, air conditioning, plus a parking space included in the price. 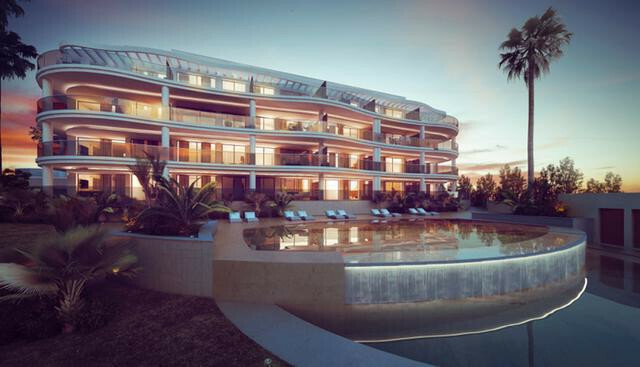 The well-maintained communal areas will include 2 communal swimming pools with salt water, gym and all services to enjoy its excellent location, only a few metres from the sea and 12 minutes from the centre of Fuengirola. 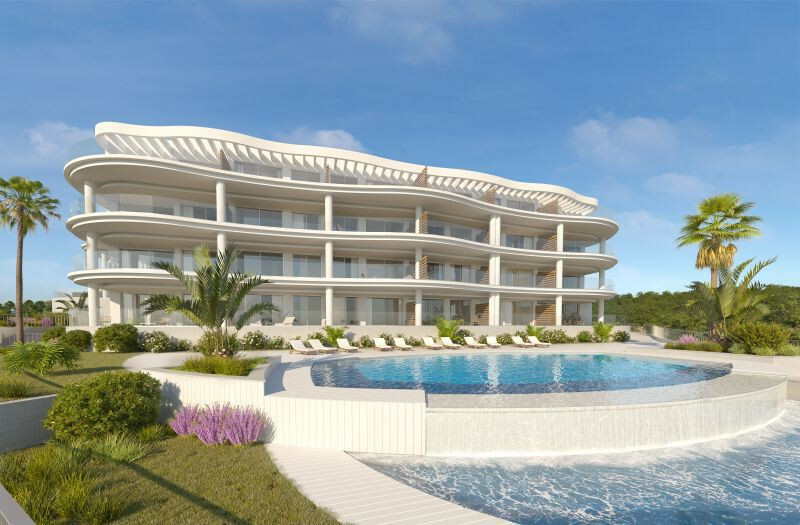 Enjoy a lifestyle with peace and tranquility in an enclave with 24 hour security, only 200 meters from the sea and in an environment with excellent services, such as a fabulous internationally renowned hotel, 3 restaurants (including one with 1 Michelin star ), spa, tennis, paddle tennis, supermarket, cafes etc. 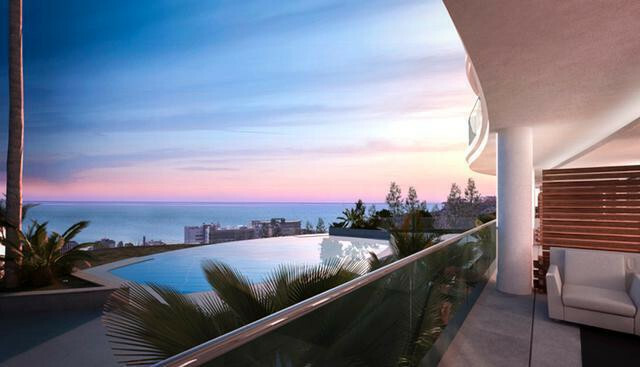 Strategically located between Malaga and Marbella, just minutes from Benalmadena and Fuengirola. 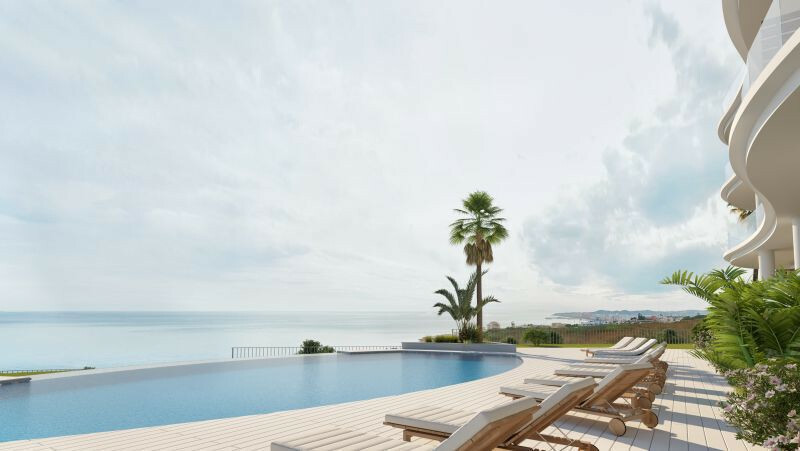 Excellent connections and just 15 minutes from the airport.